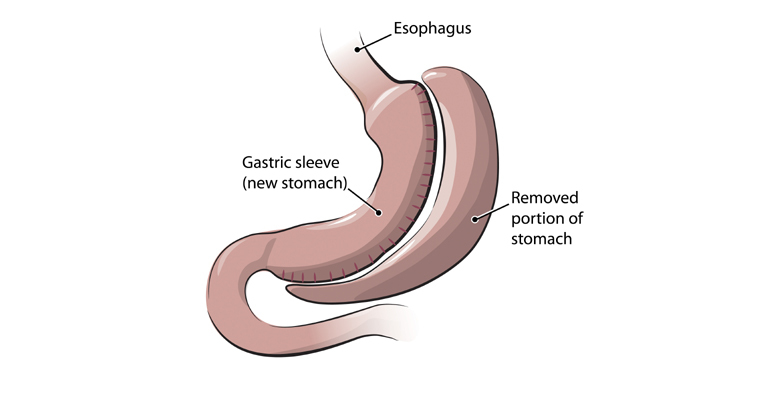 Sleeve Gastrectomy is a surgical weight loss procedure generally done by laparoscopy where the stomach is reduced to about 25% of the original size. How the Sleeve Gastrectomy is done? The majority of weight loss sleeve gastrectomies performed today by laparoscopy technique , which is considered minimally invasive. Average time of procedure is 1.5-3 hrs, and also average hospital stay is 2-5 days. How quickly is weight loss following these Sleeve Gastrectomy? Following Sleeve gastrectomy average excess weight loss at 6 months is 60%. What is the requirement of vitamins and minerals following Sleeve Gastrectomy? Vitamin and mineral deficiencies are rare in this pressure since there is no intestinal bypass. However, the procedure is very restrictive, so most surgeons recommend that patients have a multivitamin, calcium following surgery.